Westfield School student Ryan is a Gold Ambassador on the Better Learners Better Workers programme. 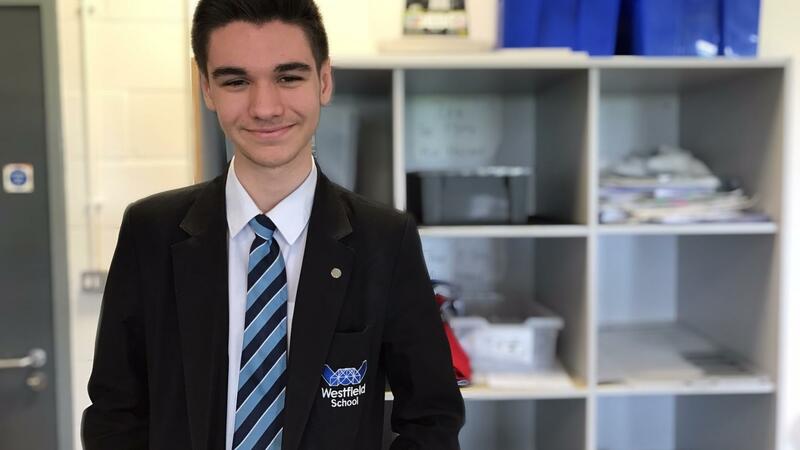 He was awarded the Star Gold Ambassador award for his hard work and progress on the Digital Technology sector strand of the programme which gives students in Years 9 and 10 an insight into the tech industry. After leaving school, Ryan is going to Wales High School to study Maths, Further Maths, Physics and Computer Science A Levels and hopes to pursue a career within computer science.